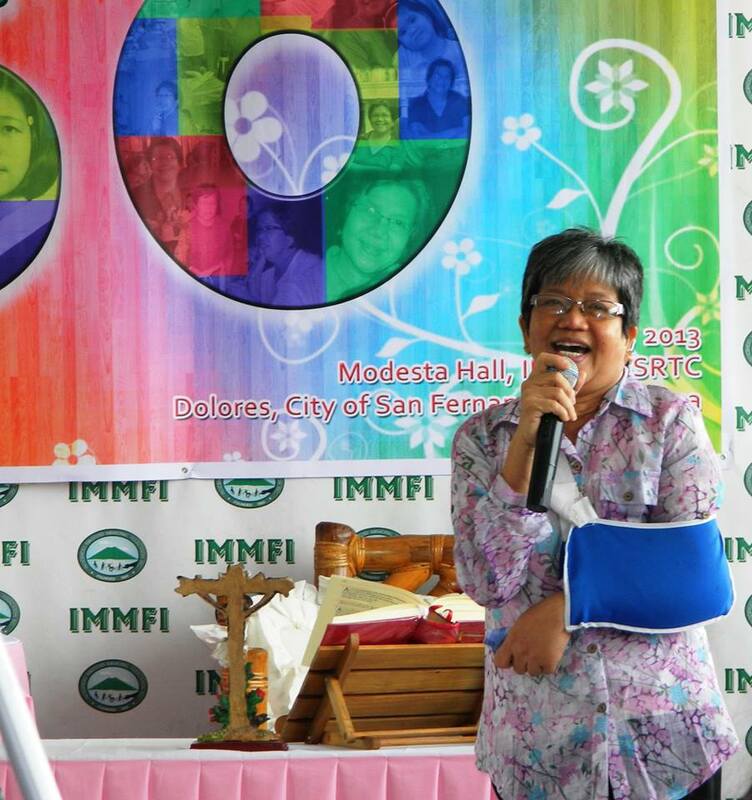 NCDA pays tribute to the late disability partner Ms. Antonita ‘’Tonette’’ Gomez, whose passing away before Christmas was mourned by her kins, many colleagues and friends in the disability community. Tonette to her colleagues, is Program Coordinator of Inocencio Magtoto Memorial Foundation, Inc., a training center based in San Fernando, Pampanga, committed to productively educate/train children with intellectual disabilities. As we post her ‘’ love for life’’ photos below, we join Maa’m TONETTE’s many friends, in toasting her as a staunch advocate of PWDs’ rights, and as Champion of NCDA’s Puppet Group ‘Mga Bata sa Pook Munting Ningning”. She took the puppets ‘’under her wings’’ and roved them in Pampanga schools, as a strong advocacy pitch to showcase skills and talents of persons with disabilities, in sync with Liliane Foundation of the Philippines (LFP).